This is it - the song that became an overnight sensation! 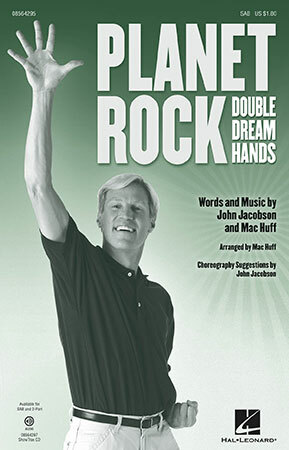 Who could have guessed that Planet Rock, also known as Double Dream Hands, would go viral on YouTube? Well, it did, and, millions of hits later, it's available for choirs! Don't miss out on the excitement and goofy fun of this internet phenomenon! Highly recommended!